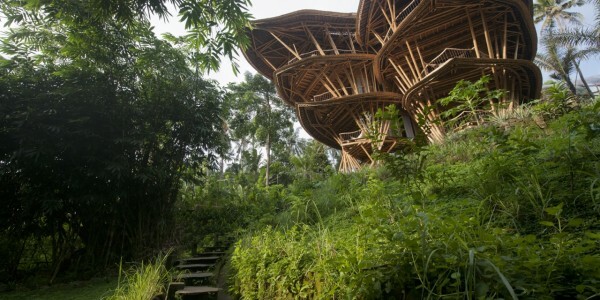 SHARMA SPRINGS is currently the tallest bamboo structure in Bali. 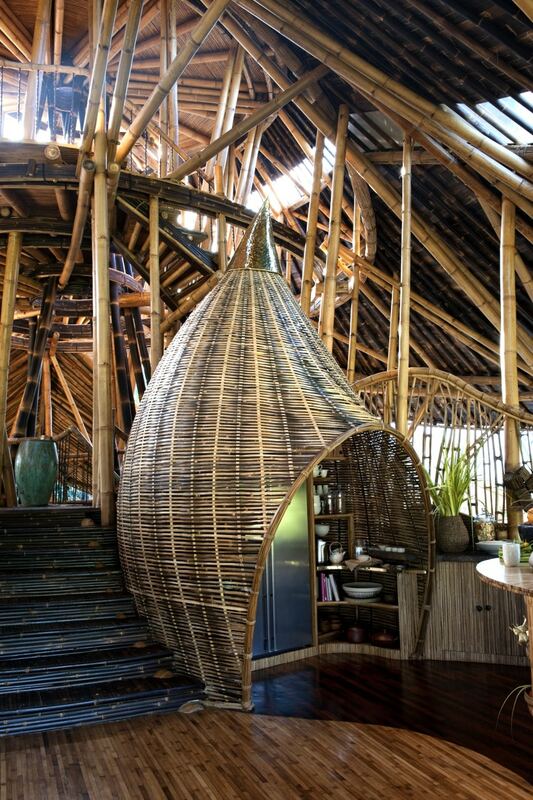 This bamboo villa is not only an architectural wonder, but also a work of art. As the latest addition to the master-planned community Green Village, it has been featured on CBS This Morning and the front page of New York magazine. 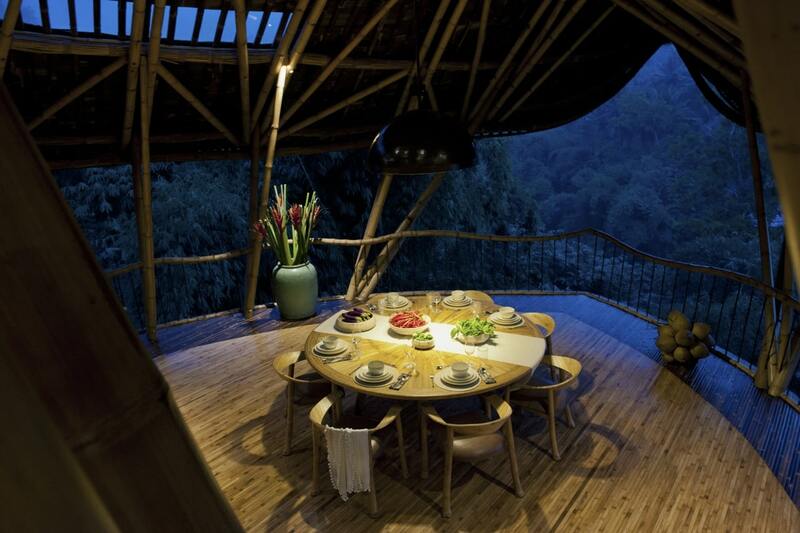 This bamboo property stands 6 storeys tall and is nestled along the edge of the Ayung River valley. 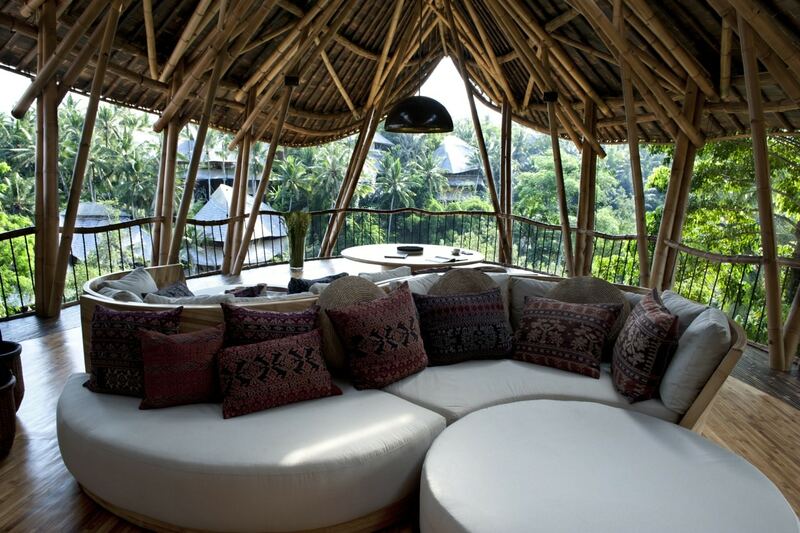 It features 4 bedrooms with en-suite bathrooms, a spacious living room, a private plunge pool, and a guest house. 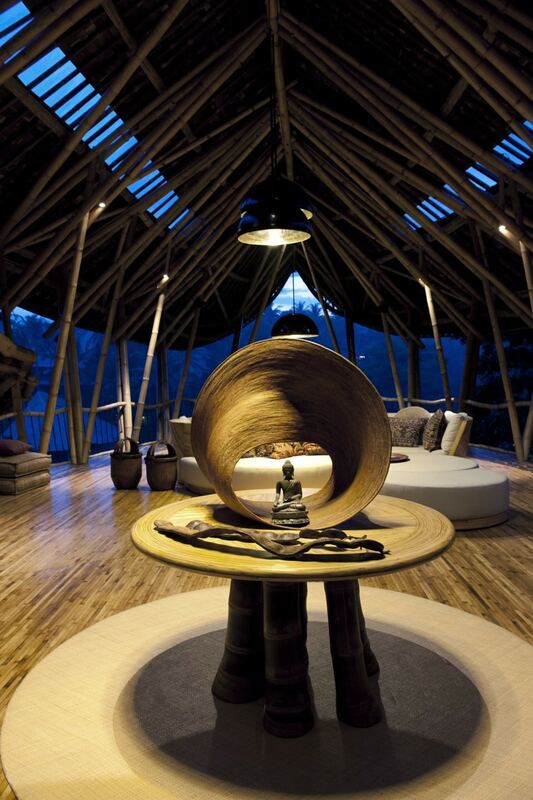 Enter the main house from the 4th floor through a stunning 15 meter tubular bamboo entrance, then sit back and relax as you take in the scenery from the lounge and the kitchen. A private office area on the 5th floor also shares the valley views, creating a relaxing work environment. 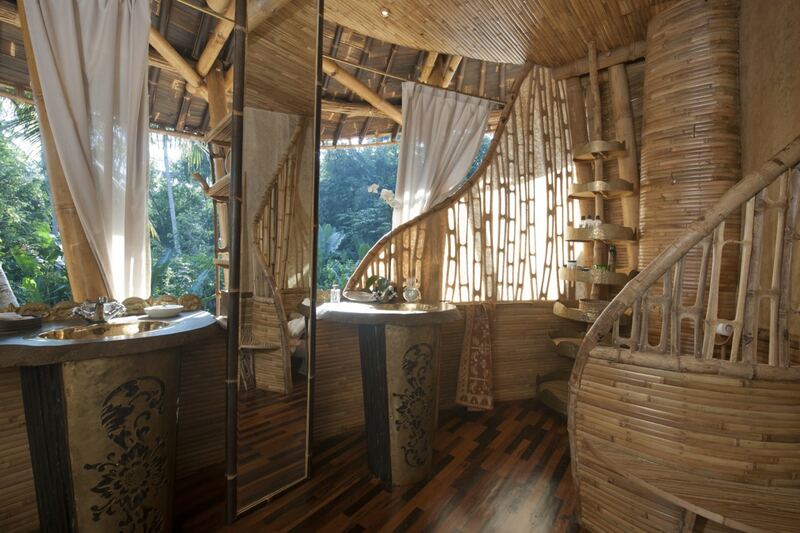 When you need to refresh and recharge, descend the bamboo stairs and have a nap in one of the 4 en-suite double bedrooms. 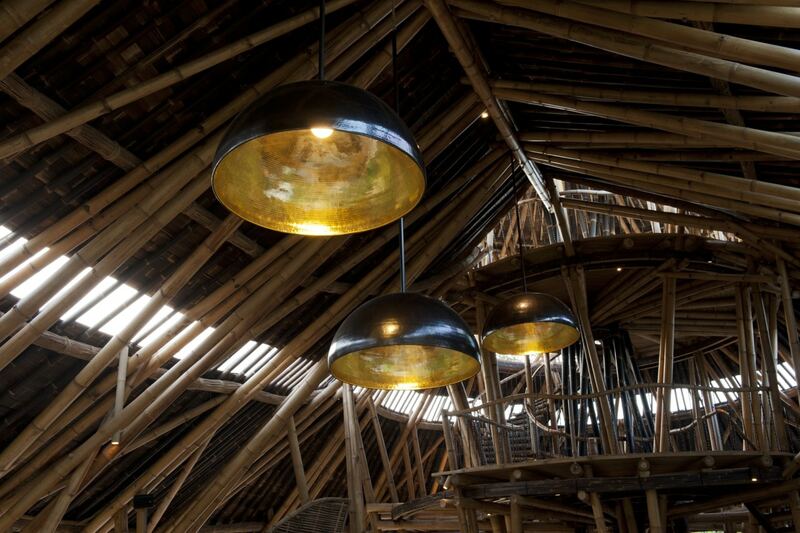 Each room is custom tailored in different themes. If you’d like to enjoy the great outdoors, you can bask in the sunset from the private permaculture garden or pool, stretch your muscles at the riverside yoga pavilion, pamper yourself in the outdoor spa, or enjoy sizzling up a meal on the poolside barbecue. 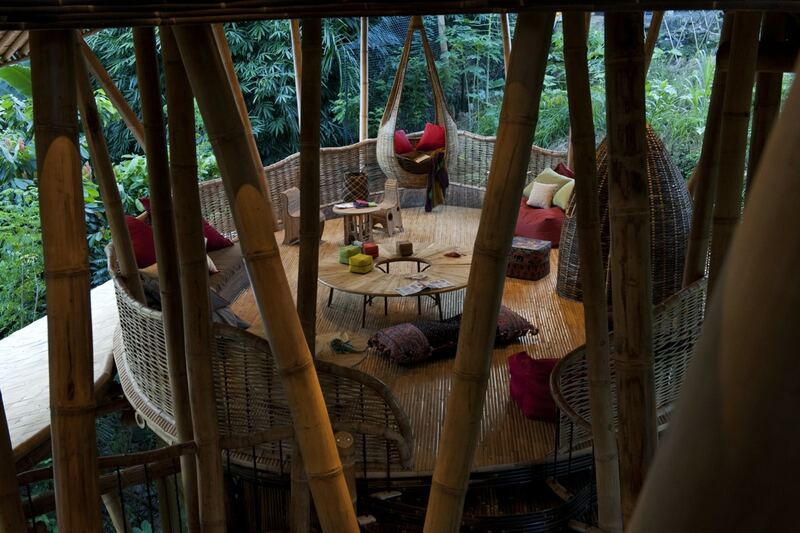 The included bamboo furniture showcases a combination of different shapes and patterns that complements the décor. 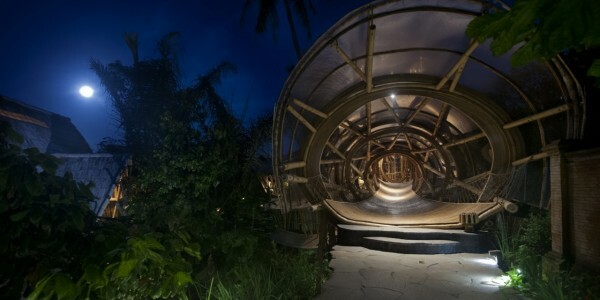 Built and furnished with sustainable bamboo, this artisanal Bali villa has its own unique flair. 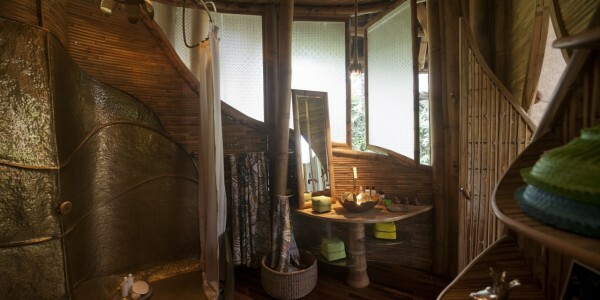 built in an enclosed glass environment with cooling AC units, including 4 ensuite bathrooms. Accommodating 2 adults and 2 small kids. Cool off in the private pool and enjoy your own BBQ area.